Is the Panasonic Arc5 ES-LV65-S Your Stubble-Busting Savior? 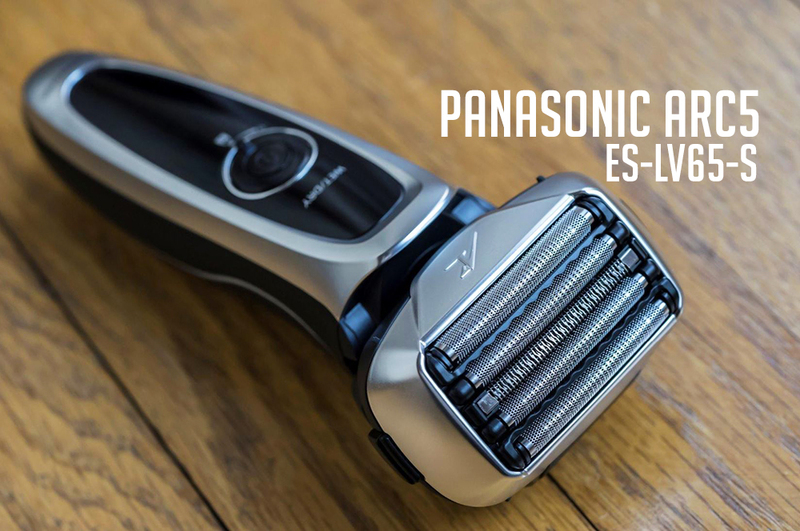 The Panasonic Arc5 ES-LV65-S promises to be the solution to a common shaving problem. You’re rushing around the house and need to get a quick shave in before work. 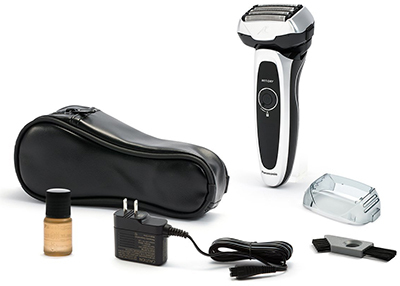 You run your new electric razor over your face… and nothing happens. Your stubbles are as strong as ever and you have to go to work with a 5 o’ clock shadow. Does the ES-LV65-S solve the problem? I’m here to find out. 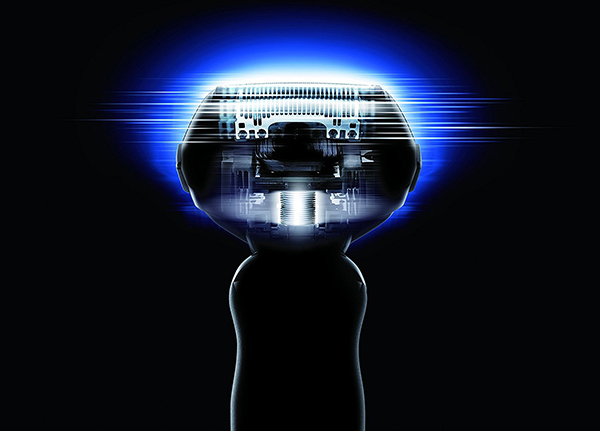 The third generation of the Panasonic Arc 5 shaver line, this razor hopes to build on the good points of the older versions. 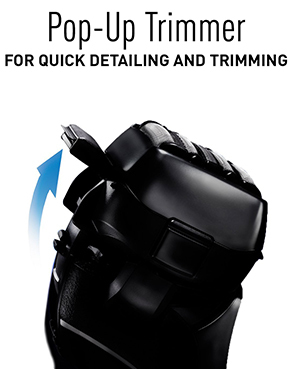 It’s a five-blade system that also has a handy pop-up beard trimmer. 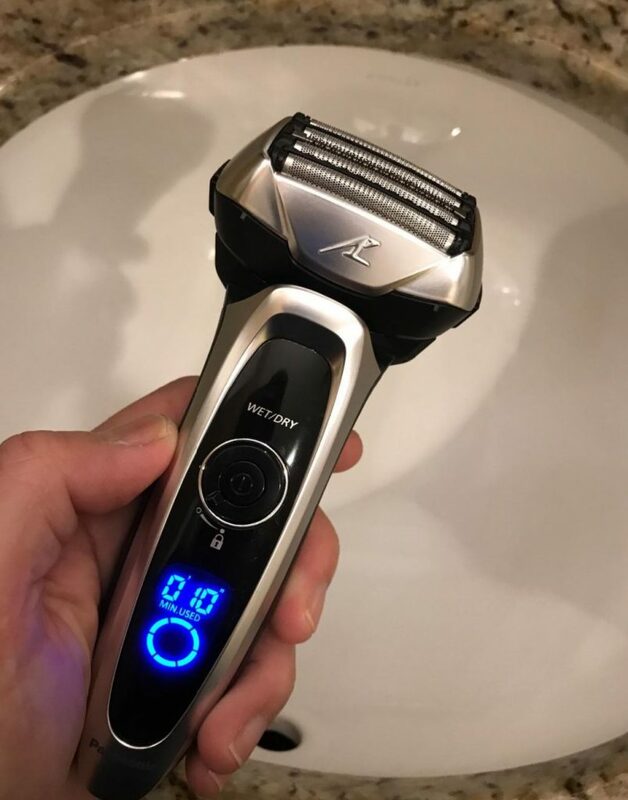 This razor may be a good choice for anybody who needs a powerful shaver that gets rid of stubble quickly. I also like that you can use the trimmer to keep your beard in check. This may be best for clean shavers who want the job done without any fuss. Every shaver comes with a bunch of tech specs that end up confusing you. 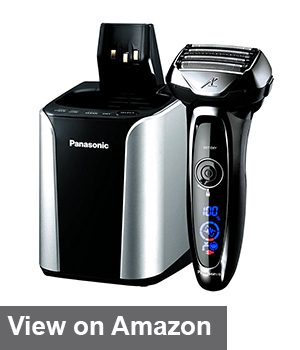 I’m going to look at what really makes the Panasonic Arc5 shaver stand out. Panasonic’s big gimmick with the ES-LV65-S is the five foil blades in the head. It’s all about catching everything in a single pass. The answer is yes… for the most part. The five blades do a great job of dealing with tough stubble. Better yet, they slice through any beard hairs that stand up on end. The arc design helps with this. Panasonic sets each blade a little lower than the one that came before. The top blade is also the highest, and they go lower from there. 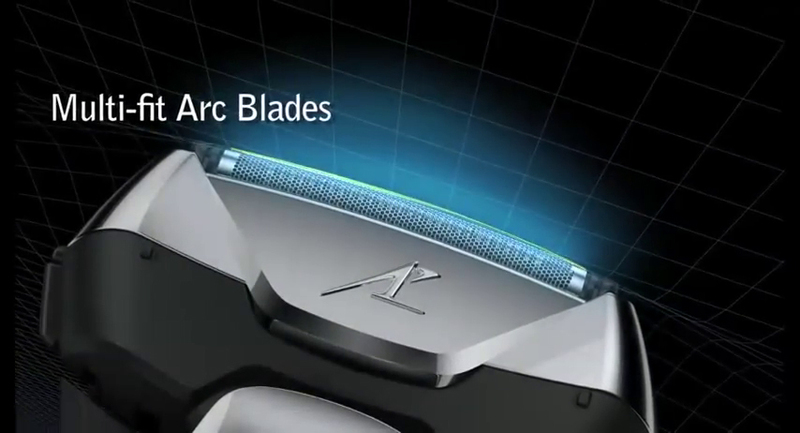 The idea is that this arc helps the razor match the contours of your face. The bottom blades take out most of the hair, with the top blades mopping up. It’s all about speed. Five blades mean a huge shaving head, so you’re not going to get accuracy here. Simply put, it’s not a great choice for maintaining a shaped beard. However, I’m all about the clean shave and that’s where this excels. A quick pass gets rid of most of your hairs and you’ll only need a minute or so to mop up any stragglers.However, it struggles with flat hairs. What happens if something goes wrong with a blade? Well, it depends on the blade in question. You can only remove two of the blades from the shaver. They pop out easily enough, though replacements do cost quite a lot. If something goes wrong with the other three, you’re going to have fork out money for a new shaver. Still, you get a two-year limited warranty that covers that possibility. It’s just of no use to you if the wrong blades break after that two years. You may not think the design is all that important with shavers. If you can hold it and it cuts, then that’s all you need, right? A shaver that looks the part makes a great addition to your bathroom. Plus, good design features can help you out as you shave. All told, the ES-LV65-S feels light and easy to handle. 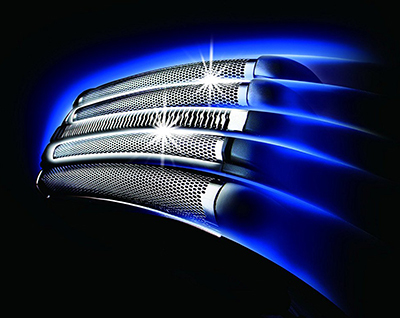 It may have the best design of the current generation of electric shavers. What’s the biggest problem you have with electric shavers? If you’re anything like me, it’s the low battery life. You’ll be halfway through a shave when you hear that distinctive slow whirring sound. The shave comes to a stop and you’re left with half a face full of hair. Panasonic claims that the ES-LV65-S has a 45-minute battery life to counter that problem. And it seems that the shaver lives up to that claim. The motor also impresses. It doesn’t lose any steam as you’re coming to the end of the battery, so you’ll still get a couple of shaves in once it drops to 10%. 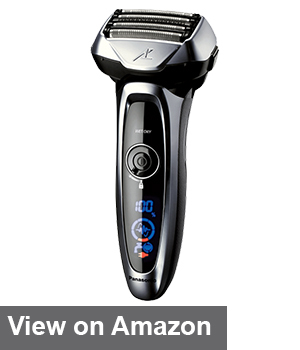 The shaver also comes with a charging brick that can handle all voltages between 100V and 240V. This means it may be a great choice for taking with you on your travels, assuming you have the right adapters. Charging is a simple case of plugging it in and waiting for it to reach 100%. However, you can’t charge and use the shaver at the same time. This isn’t a design flaw. Panasonic built it that way because you can use the shaver in the shower. Nobody wants an accidental shock because they’re wet shaving while charging. Coming back to the shaving head, I was particularly impressed with the flexibility. The head pivots across two axes, allowing it to cover those pesky spots that other shavers miss. It’s smooth and ensures the blades stay in contact with your skin at all times. Unfortunately, the blades don’t press in under pressure. That means you’re missing a patch of hair if the pivoting head can’t get to it. Still, it’s rare that this will actually happen. The flexibility helps it to deal with most contours and curves. But what about if you need some more control? The ES-LV65-S has you covered there too. There’s a little button at the back that you can use to turn the pivot on and off. Just switch it off if you want to ensure the blades don’t overrun because of the pivot. Panasonic have gone all out with the accessories, which means you get great value for money. The travel case carries most of the accessories, though it’s a tight squeeze. So, is there a downside? It depends on whether you like fake leather. Genuine leather would up the cost and it doesn’t make much of a difference to the case’s quality. However, the fact that it’s soft does. A soft travel case won’t protect your shaver from bumping around when in transit. Panasonic’s big innovation comes with the sensor mode. The shaver has a sensor that’s supposed to detect the thickness of your beard or stubble. This sensor then tells the shaver how much power it needs to slice through the hair. Thick beards need more power, whereas thin beards need less. It’s a good idea, in theory. But does it work in practice? It’s pretty difficult to tell. You can hear something going on inside the razor when you activate sensor mode. I assume this means that it’s adjusting the power output. But the feel doesn’t really change. You still get the same level of comfort and closeness – which is high – and it doesn’t seem like the motor slows down too much. 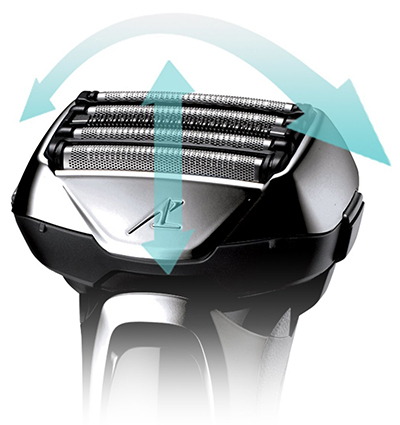 The shaver turns sensor mode on automatically whenever you power it up too. A quick press of the power button switches it back off. Hair build up in an electric razor creates a weird gunk that affects performance. If you can’t clean it easily, you end up with a dull shaver. Panasonic sells an automatic cleaning station separately, but I don’t think you’ll need it. The ES-LV65-S doesn’t pose any problems when it comes to cleaning. You can pop the blade foils off easily to get to the two interior blades. A quick wipe and some lube sorts them out, plus the large head offers plenty of space for the included brush. Do you know what else really helps? 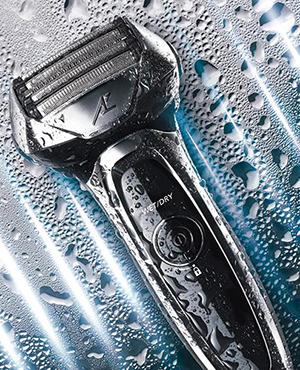 You can give the shaver a quick rinse under running water if you want to get rid of any hair on the outside. You can even pop the foil off and run some water over the interior blades. It also has its own cleaning mode. Just hold the power button for a couple of seconds and let it get to work. The motor powers up to its highest capacity, getting rid of any internal gunk. The shaver then switches off and is ready for use after a quick dry down. So, that’s my Panasonic ES-LV65-S review. No electric shaver is perfect. This one struggles with accuracy and I don’t like how you can only replace two of the five blades. A sturdier carry case would also be nice. Plus, I’m not sure whether the sensor mode actually makes any difference. But the positives outweigh the negatives. I think this is an excellent choice for people who want a close shave done quickly. The blades cut close without tugging and it’s easy to maintain. Panasonic have also made some excellent design choices, plus it has a powerful battery that lasts through plenty of shaves. I fully recommend the Panasonic Arc 5 ES-LV65-S for anybody who wants a clean, all-over shave.